Have you got what it takes to be Australia’s top cosplayer? Enter into the Madman National Cosplay Championship to find out! Total Prize Value Approx $5,000! 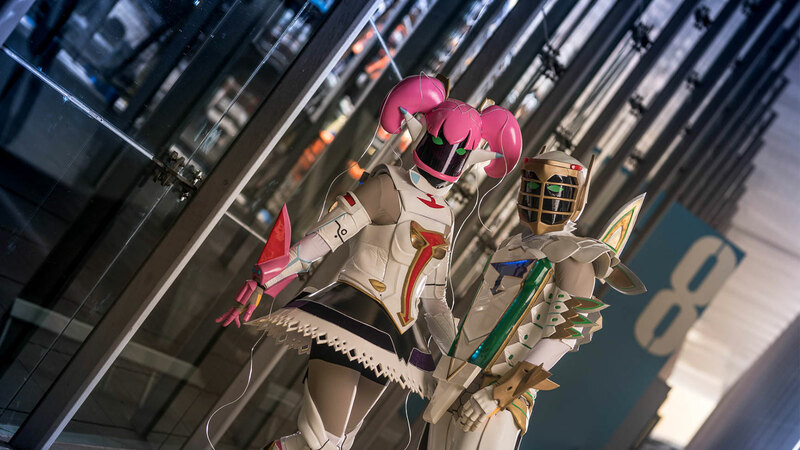 We welcome entries for costumes that are from Japanese anime, manga, tokusatsu and video games. This contest is a celebration of Japanese anime and cosplay culture. If you are unsure whether your costume qualifies, please do not hesitate to contact us for clarification. If approved you will compete at a qualifying round in the event of your choice and compete for a place at the grand final event held at Madman Anime Festival Melbourne. 1st place winners from each preliminary round as well as up to 2 judges wild card entries will compete in the final event. Please note, dates for each round and where they will be taking place have been changed significantly for 2019. Please ensure you are entering at the correct event. Please note there will not be a Tasmanian round in 2019. The Melbourne round will also be taking place on the SATURDAY of Madman Anime Festival Melbourne 2019 with the winner going onto the finals on Sunday. The contest is open to current Australian and New Zealand residents only. You may enter as an individual or as a team of two (2). Entry is only open to costumes that are from anime, manga, tokusatsu or a Japanese video game. You must also perform a skit as part of your entry. You will be required to submit a portfolio containing your previous cosplay experience as well as documentation of the costume that you will be competing with in the contest via email to cosplay@madman.com.au. Please use the forms below and follow the format and instructions in the documents. Costumes must be of your own creation. We will not be accepting entries with pre-bought costumes. Please take special note that all rounds at Madman Anime Festival will be taking place on SUNDAY. All other rounds will be taking place on Saturday. Enter today! Submit your entry by filling in all details in this handy entry form. We will review submissions and get back to you as soon as possible after the submission date. Late submissions will NOT be allowed entry. You must submit both your portfolio and skit on the due dates. PLEASE DO NOT SUBMIT THESE SEPARATELY. You will be deducted marks for submitting your folios incomplete and without a link to your skit audio/video and photos. Return economy class airfare for the finalist(s) from their nearest capital city to Melbourne. Entry for all entrants into Madman Anime Festival Melbourne. Up to 3 additional passes per team are also available for your helpers. Questions? Queries? Unsure about something? Please email cosplay@madman.com.au and we will be happy to clarify any queries you may have. If you are looking at just entering into the regular cosplay contest, please contact the relevant event.